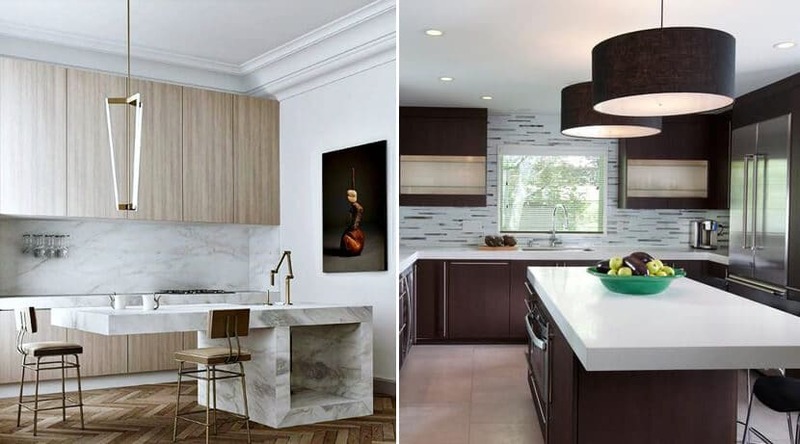 There’s no more wholesome a room than the kitchen but the latest trends in kitchen design introduce a bit of glamour to this hard working space. These include surprising elements, from oversized light fittings to lovely practical features that are future-forward. The message is loud and clear: modern kitchens are the new ‘it’ room of the house and not the tired old work horse of yesteryear. Maybe it’s the bestselling novel featuring all those shades of grey that started the revolution, but it looks like this neutral is taking over from our trusty old friend, White. 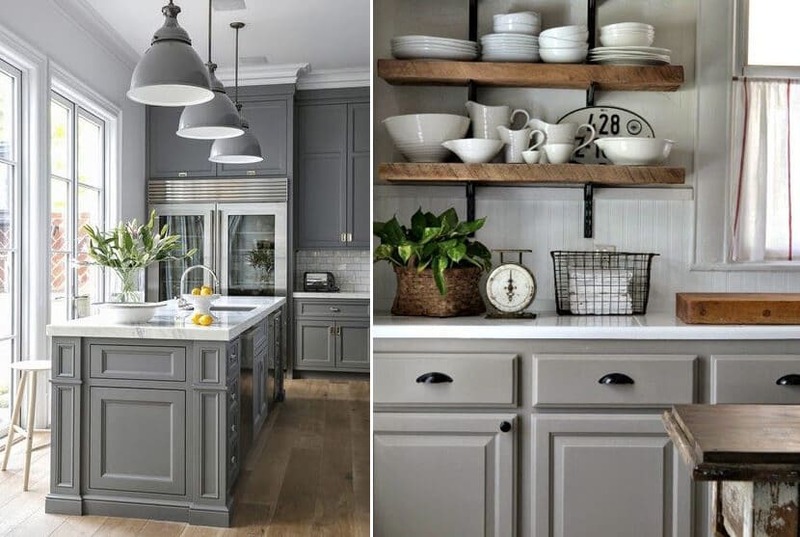 According to the trend setters, whether combined with a subtle palette or bold pops of colour, you simply cannot go wrong with grey kitchen cabinets. 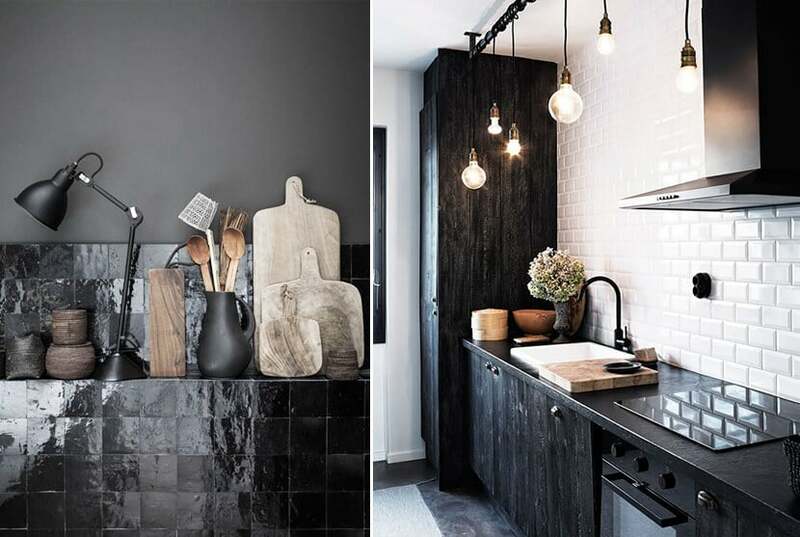 Dark and dramatic with a sense of formality is what the black and white combination brings to the kitchen. Only to be softened with a wooden floor or accessories, this seems to be a trend that will be with us for a while. Black is used matt or gloss or as a daring combination of the two. Keep wall colour and upper cabinets in crisp white with black counter tops and lower cabinets for the perfect balance. Oversized light fixtures give a sense of luxury and grandeur. When the interior of the shade is in a metallic finish, it allows extra light reflection and creates a warm glow throughout the room. Gone are the days of predictable task lighting that tends to be more practical than beautiful. Automated kitchens make life a lot easier than before. 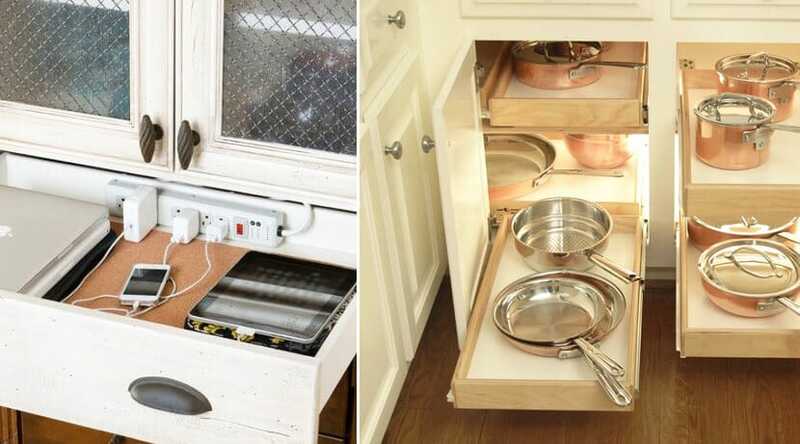 You can store things away with the touch of a button or by simply closing a drawer. This ensures an uncluttered space with everything neatly in its place so you don’t have to spend hours looking for things. 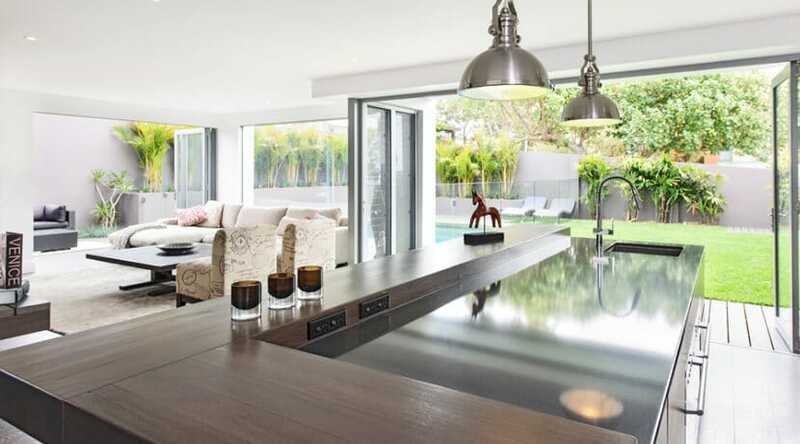 Countertops contribute greatly to defining a kitchen’s style. Natural stone and quartz tops are still the most popular choices and are available in a range of exciting new neutral colours to suit a more contemporary style kitchen. Nonporous and heat, scratch and spill resistant, it’s a very popular choice for family kitchens. 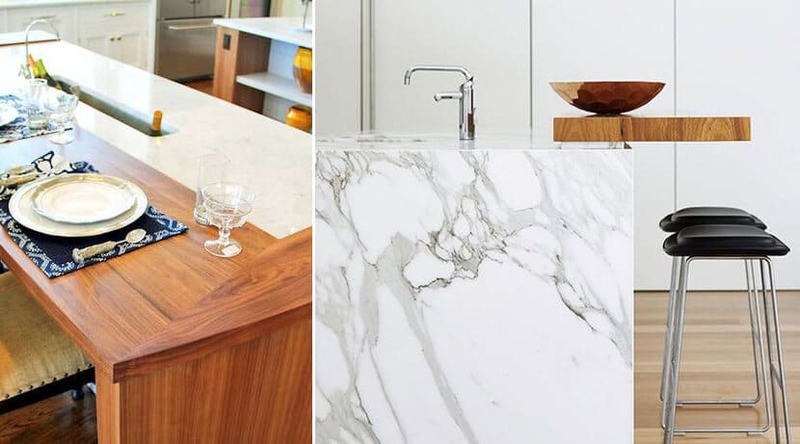 To be right on trend, combine the quartz or marble with wood into one countertop space. 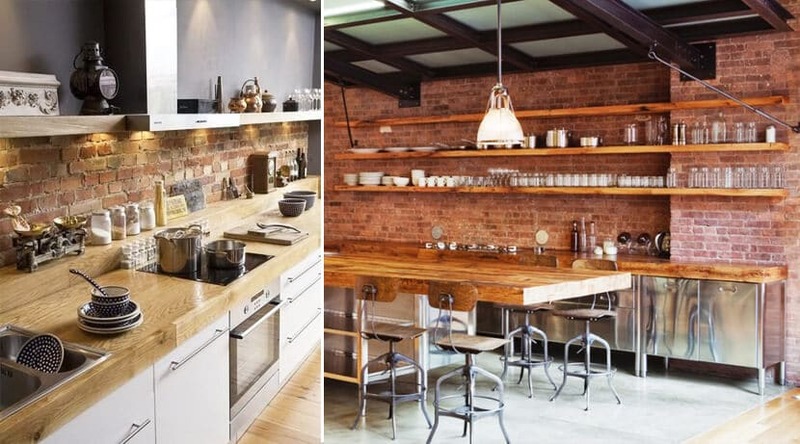 Exposed brick focal walls give a kitchen space an interesting tactile quality. 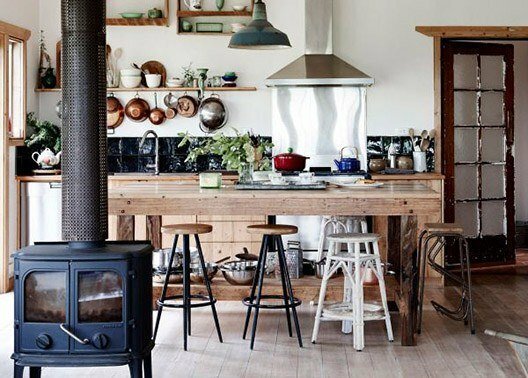 The combination of natural textures with metal works perfectly in a kitchen environment. Use rich accents and unique details to personalize your modern kitchen. Add instant visual impact with wallpaper. 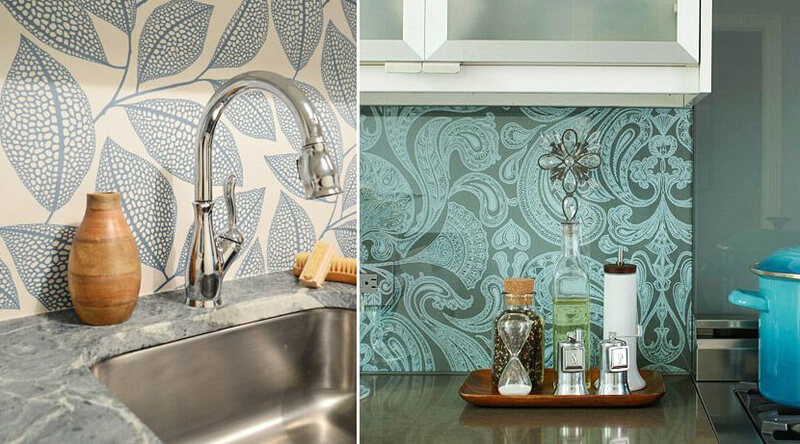 You can even wallpaper a section as a splash back and then waterproof it with a piece of tempered glass as cover. Wallpaper is available in all sorts of designs from distressed wood to geometric patterns, adding another textured layer to your kitchen. 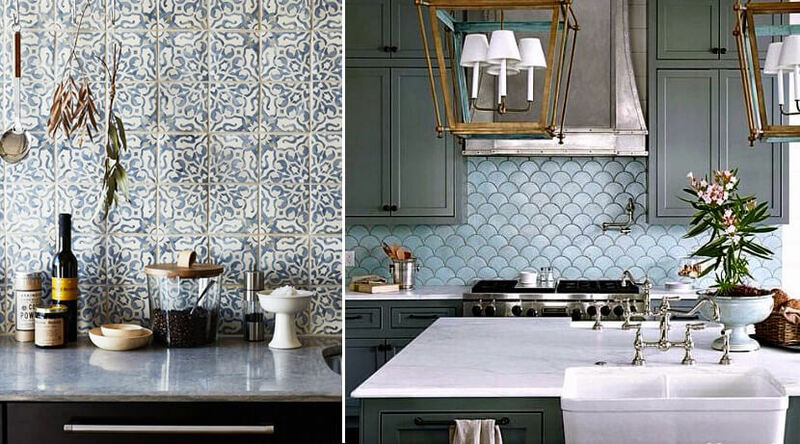 Bold patterned tiles have made a big comeback and are available in many beautiful designs. With geometric patterns making an exit, it is time for more classic patterns that are repetitive and elegant. Art Nouveau and Art Deco motifs are going to be very popular in the next year, as well as Turkish influences. 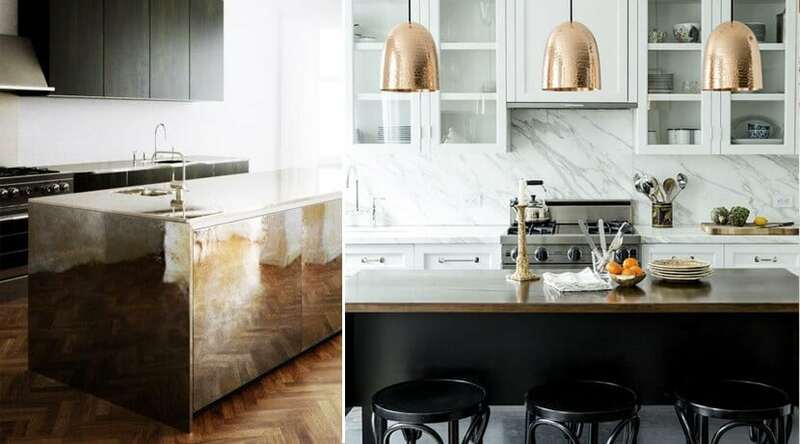 Warm metals like copper, bronze and rose gold are still taking center stage as accents in contemporary kitchens. These metallics create a sense of luxury combined with a hint of old-world nostalgia. Metals are very versatile as both surfaces and splash backs and can be combined with any colour palette. Kitchens now integrate seamlessly with the rest of the home instead of being cornered off as a separate entity. Multifunctional surfaces are used so that the kitchen table can be used to entertain guests as well as to do homework. With spaces becoming smaller we are seeing design that that works hard and fulfills more than one need in a space.